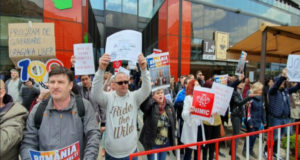 Social Democrat leader Liviu Dragnea has launched a new attack against Justice minister Tudorel Toader on the emergency ordinances. 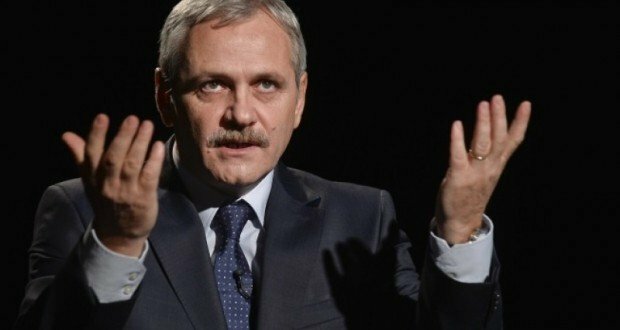 In a TV show on Monday evening, Dragnea said that debates on amending the criminal codes must be resumed in Parliament in the coming weeks, claiming the party has been fooled by minister Toader who stirred a huge scandal with his statements and then he didn’t adopt the ordinances after all. “This lie has been rolled over for two years (editor note: that the justice laws would be in Dragnea’s favour). There is no comma to advantage me, on the other hand there is no discussion that the High Court was not concerned to have a 5-judge panel, was not preoccupied with observing the law on the 3-judge panels. The issue is not the one breaking a law, but the one who is objecting. The party has taken a decision, that was optional for some, the articles in the criminal codes declared constitutional should be adopted through GEO,” Dragnea told Romania TV. He further accused Tudorel Toader that he had not come up with the promised emergency ordinances. “The entire party has been fooled. Mr. Toader fooled us all. Intentionally or not, he said in January <I want to adopt that ordinance and that one>. He didn’t talk to anyone. But you cannot say that at the beginning of the year, you lift the scandal up to the sky, we are under bullets in the country and abroad and then you come out again and said the emergency is not justified. The debate in parliament is also blocked. The issue is closed,” the PSD chairman also said. He argued that he would like the debate in parliament to be resumed as quickly as possible. “I don’t think the GEO will be adopted. The procedure in Parliament must be resumed in the coming weeks”. At the same time, Liviu Dragnea revealed he would not propose that Tudorel Toader should be dismissed, adding though that he cannot oppose either to a debate about him in the PSD’s Executive Committee. “We’ll discuss it in the CEX, I cannot afford to be at odds with the premier (…) As for Tudorel Toader, the procedure is simple, either the PM proposes or announces us that she wants to dismiss him, or party the colleagues in the CEX say he might be reshuffled,” Dragnea explained. “I will not propose that Tudorel Toader is reshuffled. I cannot oppose that either“, he added. As for the endorsement granted to Toader, Dragnea pointed out ironically: “I think Toader belongs to the Romanian people. Mr. Tariceanu said he should stay there”. Asked if his relation with PM Dancila went cold, the SocDem leader replied: “We haven’t met lately, only half of hour before the NATO event. Mr. Toader told us the GEOs are not justified, I went to the meeting with the party branches, while the PM went to the Government”. Dragnea denied he had come to terms with the Bucharest mayor Gabriela Firea or that the former deputy intelligence head Florian Coldea would be his adviser. 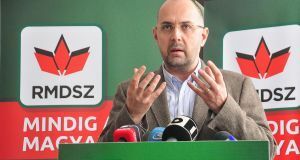 “I was wrong, she was wrong“, the PSD chairman said about mayor Firea. “I won’t judge who has been more wrong, but still there are many things that unite us. For me, I am totally open and I asked the colleagues in the Government to have a serious talk with the city hall’s clerks to conclude some important projects, to avoid any gridlock because of some financial provisions”. As for Coldea, Dragnea has strongly denied, saying the former SRI deputy director is one of the men who has hurt Romania and who had convicted him three times, through pressures and that he wants to convict him for the fourth time as well. On the other hand, talking about the upcoming referendum on justice initiated by President Klaus Iohannis and about the topics, Dragnea stated that PSD would send representatives to the consultations due at Cotroceni Palace these days in order to suggest some questions to the head of state. Dragnea opined that the referendum is one of “Iohannis’ tricks”, “in order to help his men”. Asked about the fact that PSD had been invited for talks at Cotroceni one day after the opposition parties, the PSD leader said: “It is something strange, for the presidents used to invite PSD first because it is the party who won the largest number of votes and has the majority of MPs. It is a state of despair”. The Social Democrat leader argued that the referendum is President Iohannis’ trick, as “he is looking for a desperate opportunity to help the Liberals, they will have a problem with USR and Ciolos, for they were the ones that adopted the GEO that amended hundreds of articles in the Criminal Code”. „I think we didn’t get there. You could talk to that one (Ponta), with this one you can’t. This man (Iohannis) has only commands and desires, you either do it his way or it can’t be done at all. Apart from incitement, hatred, discord, blocking the Government, nothing on foreign policy, all that he does is walking and being silent”.